See Additional Ticket Information below for more detail. For ticket and wristband information and pricing, visit the Wade Shows website. Grounds admission is free. Purchase your unlimited ride armbands on or before APRIL 17 for only $18.00 each! Pre-sale armbands are valid for use on any one day of the event from open until close. Wednesday (4/24) is “Dollar Days” for all rides. Selected food and games are also one dollar. 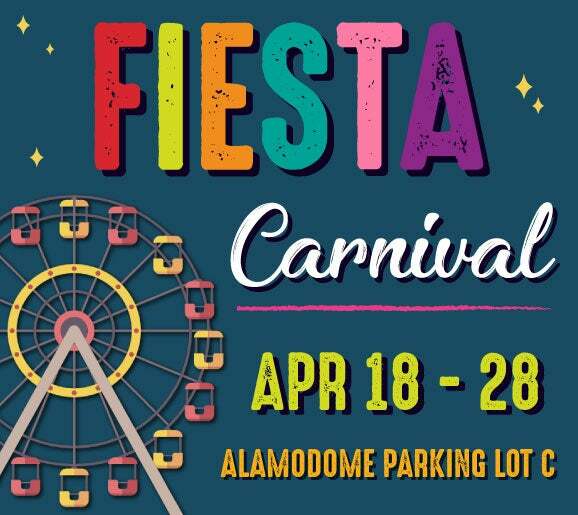 Tickets and wristbands are available on the Carnival Grounds. For pricing visit the Wade Shows website. Alamodome $10 (cash only) parking is available in lot B. No in and out parking.